The Red Devils go into the game with three losses in the previous four matches, and they need to produce a huge performance to withstand the impending threat from the Catalan giants. David de Gea has been the undisputed goalkeeper pick for the league and European duties and he should start between the sticks against the Blaugrana. The Spaniard will be eyeing his first clean sheet since the backend of February. In the defence, no changes are likely and this should witness Ashley Young and Luke Shaw in the right and left side of the backline with Victor Lindelof partnering Chris Smalling in the central defensive role. Marcos Rojo remains available at Ole's disposal but he is unlikely to utilise the Argentine with barely any gametime under his belt this term. In the midfield, Nemanja Matic should recover from a minor injury to retain his position but there are concerns regarding the fitness of Ander Herrera, who remains a major doubt with a hamstring issue. In his absence, Scott McTominay could get the nod alongside Paul Pogba, who is likely to feature in an advanced position in the midfield three. In the attack, Marcus Rashford is likely to make his comeback from an ankle problem. 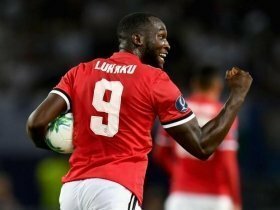 The Englishman could feature alongside Romelu Lukaku in a two-striker partnership with Jesse Lingard behind them in the number 10 role. Lingard has not experienced the best of seasons, but his penetrative runs into the opposition box makes him a potential attacking threat.